Paramilitary Policing From Seattle to Occupy Wall Street | The Nation. Twenty-two years ago the United States was in the middle of a debate over flag burning. Congress had approved the Flag Protection Act of 1989. Literally the minute it took effect on October 28, 1989, opponents challenged it by publically burning flags. People were arrested and charged, but ultimately charges were dropped because the law had been declared unconstitutional. In the ensuing years, more public acts of flag desecration were carried out. Organizations such as the American Legion protested some of these acts, including an art exhibit called What is the Proper Way to Display the U.S. Flag? at the Phoenix Art Museum. At the same time this was happening, crews were cleaning up spilled petroleum in Prince William Sound. Countless animals had died as a result of the Exxon Valdez being introduced to Bligh Reef by its captain. Among them were at least 250 Bald Eagles, America’s other symbol of national pride. Yet there was no patriotic outrage about this desecration. The people who showed the greatest concern for the deaths of these living symbols were not those screaming bloody murder about flag burners. Nobody introduced laws making assault of careless ship captains worry-free. Maybe it’s because we all know we are guilty of causing the devastation in Prince William Sound. Our consumption of petroleum continues to be insatiable. Although there is new-found interest in alternative forms of energy, those entrenched in the oil business have motivation to keep it on top, and will doubtless do all they can to keep it that way. I consider myself a patriot. As an Army brat and former Boy Scout, I learned about flag ettiquette and practice it to this day. We display our flag on national holidays, but not in the rain or at night. We don’t allow the flag to touch the ground. When our flag becomes too soiled and tattered to display, we will send it to an organization which will destroy the flag in a dignified manner. I am also a lover of wildlife, particularly birds. The images of dead and dying wildlife, particularly Bald Eagles, in Prince William Sound brought tears to my eyes. I still cannot understand how this tragedy did not motivate patriots to do something big about our thirst for petroleum. There’s no time like the present, Americans. With the approach of Memorial Day I begin to think of all who have served in the military, especially friends and family. Technically, Memorial Day was established to honor and remember those who died in service to our nation, but I know of no family member or close family friend who I can so memorialize. My father, grandfather, brother, father-in-law, and a number of uncles all served honorably in the military. 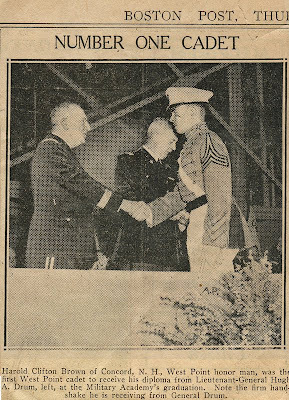 My maternal grandfather, Edward Bertram, was commanding officer at Vancouver Barracks when my parents met. It was 1941, and Dad was the new officer on base. He quickly charmed his way into Mom’s heart. Hal Brown and Kitty Bertram married after a short engagement. 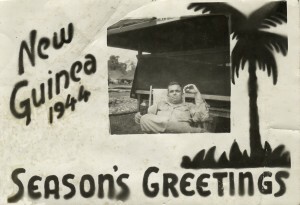 A year later Grandfather Bertram was dead from heart disease and America was at war in the Pacific and Europe. 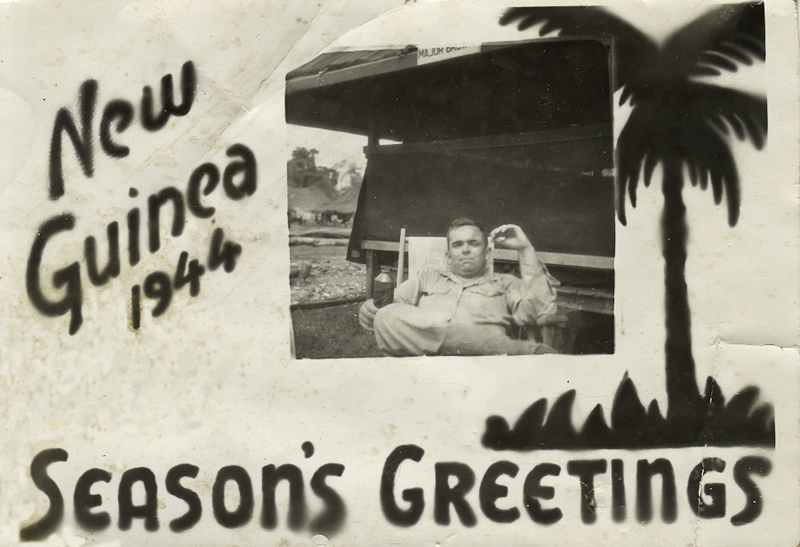 Dad would return home in 1945 after serving in New Guinea and The Philippines, suffering from a combination of malaria and dysentery. He spent months in a hospital recovering. By this time he was also a dedicated smoker. There is some uncertainty as to when he picked up the tobacco habit. My sister thinks it was prior to his admission to West Point. I’m having a hard time reconciling that with the fact that he ran cross-country and was the number two miler on the track team. What I do know is that many of our military men who served in World War II picked up the habit due to cigarettes included with their C-rations, or those distributed by certain non-governmental organizations. In 1946 Dad was sent by the Army to the University of Chicago to study nuclear science. He received a Master’s Degree in 1948. During his time there, he was hospitalized when a canister of chlorine gas was accidentally breached in a lab while he was working in another part of the building. His lungs were blistered, leaving them scarred. After finishing his degree, Dad spent the next several years building bombs in New Mexico. I don’t know much about the safety precautions taken around radioactive materials in those days, but I would hazard a guess that he was exposed to considerably more radiation than the average Joe working in a factory. We can never know how many of our veterans died prematurely from service related injuries. Dad spent the final years of his life struggling to breathe, a nebulizer always at hand. No doubt the cigarettes he smoked for most of his life were to blame, but the chlorine gas cannot be dismissed. So on Memorial Day I will be honoring those who died bravely in combat, but I will also be thinking of those whose fates are not easy to connect to patriotic duties: Those who returned from World War II addicted to tobacco; the veterans who were exposed to toxic chemicals in uniform; those with mental illness due to post-traumatic stress who died alone on the street. All deserve to be honored. Many people have succeeded in life by pulling themselves up by their bootstraps, as the saying goes. These people are to be admired for their determination and grit. We often use the same phrase as a suggestion to those who are struggling. “You just need to get up off your duff and pull yourself up by your bootstraps!” some have been heard to say. The problem is that not everyone has bootstraps, or boots for that matter. Seventy years ago this June 11 my Dad, Harold Clifton Brown, graduated first in his class from West Point. Born the first son of an electrical engineer and a Norwegian immigrant who had briefly written for silent films, things looked pretty bright for his future from the start. He soon had two brothers to play with and his parents were doing pretty well providing for the boys. His dad, Harold senior, worked for Pennsylvania Power and Light. He was called “Brownie” by Grandma Brown, and she took care of the boys and the home. When Dad was about six, Brownie died of a sudden illness, leaving Grandma to provide and care for three young boys. It was 1924. Through the worst of the Great Depression Grandma Brown worked hard and raised the boys. 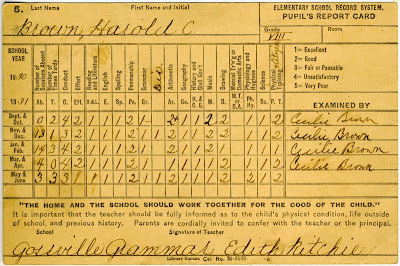 Dad did pretty well in school, except in the area of conduct. Third column from the left is Conduct, preceded by attendance numbers. According to the scale it was his worst area. Yep, Dad was a bad boy with potential. This was recognized by U.S.Senator Fred Brown (No relation. And no relation to the former Seattle SuperSonic.) of New Hampshire who appointed Dad to the U.S. Military Academy at West Point, New York. Dad continued to work hard once at West Point and in the end was incredibly successful. He served in World War II with the Corps of Engineers, earned a Master’s Degree in Nuclear Science at the University of Chicago after the war, and eventually retired as a Colonel. He went on to work fifteen years as an analyst for Boeing. So dad had a bit of a rough start, but his life by most standards was successful. He certainly pulled himself up by his bootstraps, wouldn’t you say? In no way do I consider myself the success Dad was. I went to college, reluctantly. My record as an undergrad was undistinguished. I flailed around at a variety of jobs for six years afterwards. Something finally clicked and I got my teaching credentials with a 3.74 GPA. Since then I’ve been gainfully employed as an elementary school teacher. But I didn’t pull myself up by my bootstraps. Couldn’t find them. So how did I get where I am? I’m white, male, grew up in an upper middle-class community, and I’m the son of a very successful father and saintly mother. Had but one of those puzzle pieces been missing I might be missing too (See Depression). So when I hear or read about people using examples of others overcoming long odds to “make something out of themselves” to justify criticism of those who fail at same, I get agitated. Sometimes I even get hot under the collar. On rare occasions it gets my back and my dander up. Way, way up. If someone opines that you should stay out of the kitchen if you can’t stand the heat, well, better make yourself scarce, because that’s one too many cliches. Sometimes people need help to simply lead a normal life. We all are products of our families, communities, nations, and genetics. Fortune determines the variety and quantity of each. Genetics can impact ambition, health, and talent. Our families impact our self-image, values, and attitudes. Community and nation provide opportunity, resources, and security. If fortune is kind we find it easier to make our way in the world. If fortune shorts us in one or more areas we struggle a bit more. If too much is missing, ambition can find little room to grow. So, when I see the alcololic homeless man vomiting by the side of the road I try not to judge him. I don’t call him “loser.” I see the me that might have been had my circumstances been slightly different.